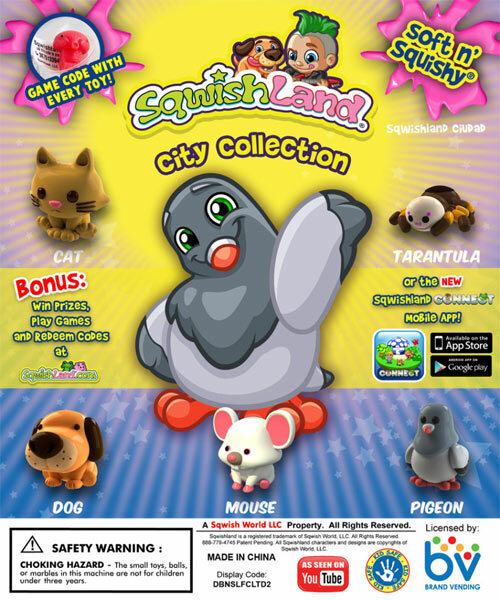 Another addition to the Sqwishland craze, introducing the City collection! 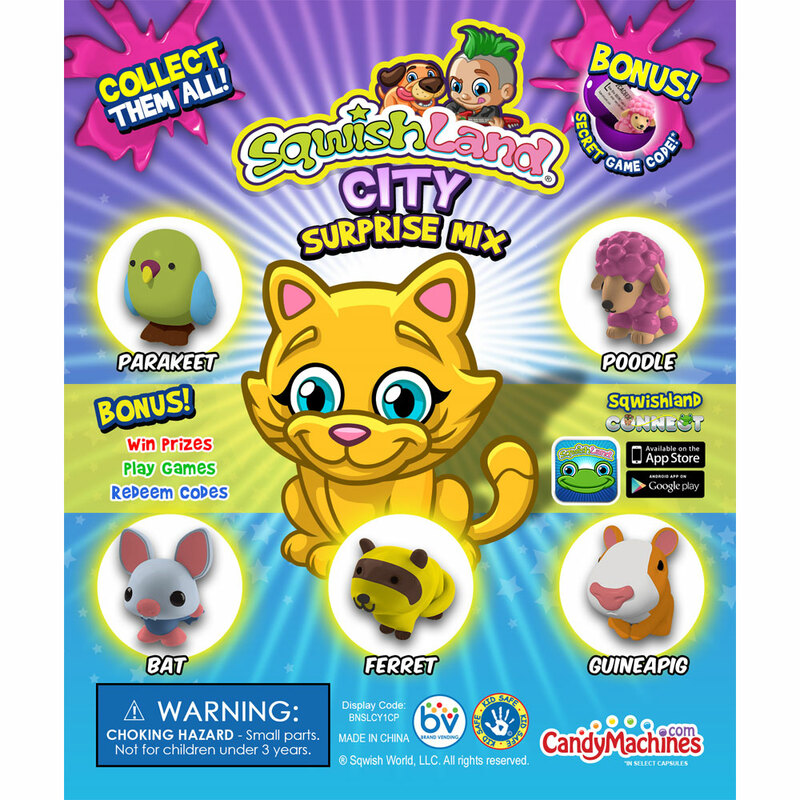 New animals include the Parrot, Poodle, Rabbit, Cat, and Gerbil. Each vending capsule contains one squishy pencil topper. 10 different characters in all. Case includes approximately 245 City animals. Each city animal pencil topper comes in a safety sealed round capsule. 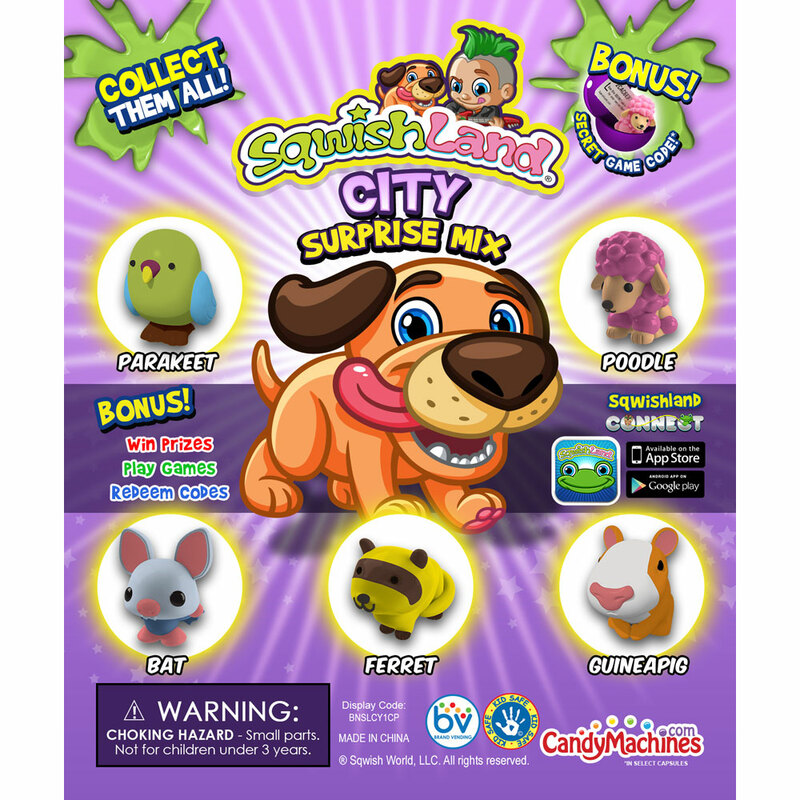 Every bag offers a fun mix of 250 toy capsules which are pre-filled for your convenience making it quick and easy to load into your bulk vending machine. These toy filled capsules are ready to vend and will dispense in machines with a 1 inch capsule or gumball vending wheel.